Were you born to shop? I was! How fortunate am I to have found a career as a professional shopper. As Robb & Stucky’s creative director, shopping is a big (and I say the best) part of what we do. Our team literally shops the world to bring the most innovative designs and finest brands to Southwest Florida. And, sometimes the best is right in our own backyard. Many of our favorite furniture and accessory finds are designed and made in America. 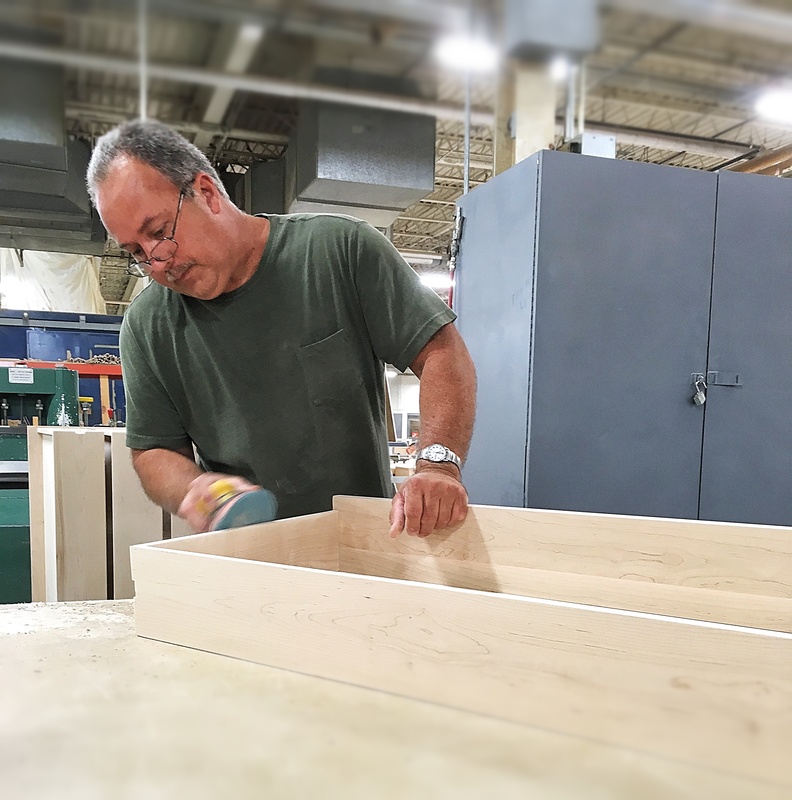 Chaddock furniture makes furniture for the whole home – living room, dining room and bedroom – at their factory in Morganton, North Carolina, the traditional heart of furniture making in the U.S. Chaddock uses old-school craftsmanship and the most modern equipment to make furniture of exceptional quality and beauty. They don’t warehouse furniture. Everything is made to order and made by hand. Nearly 90% of Chaddock designs are made at the company’s Morganton, NC, factory. Available at Robb & Stucky. And because Chaddock makes everything one at a time, they can offer lots of options, like over 60 wood and paint finishes. As an example, I love Chaddock’s Gala Table in a swarthy finish called Espresso, but if that’s not your cup of tea (or coffee), there are dozens of other finishes to pick from. 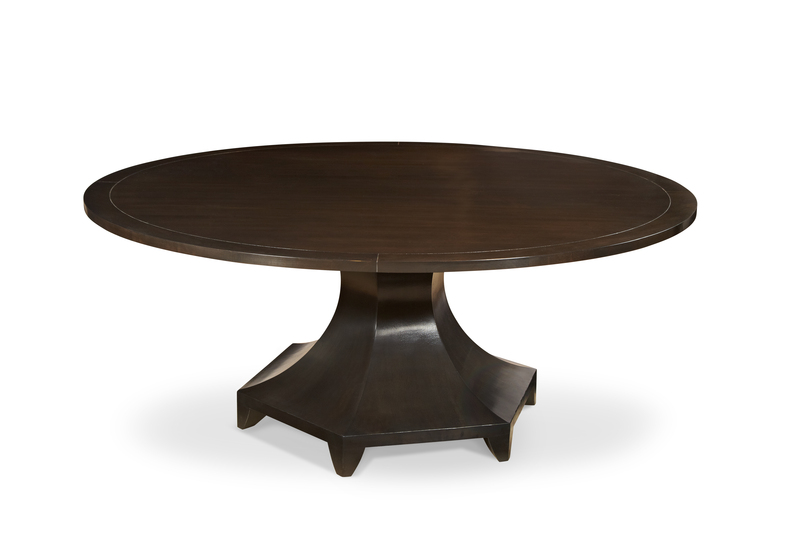 The Gala table from Chaddock can be ordered in over 60 finishes. Available at Robb & Stucky. Chaddock upholstery is becoming a go-to for professional designers. It’s a matter of quality and personalization. The factory is ready, willing and able to customize sofas, chairs, loveseats and so on to your heart’s desire. 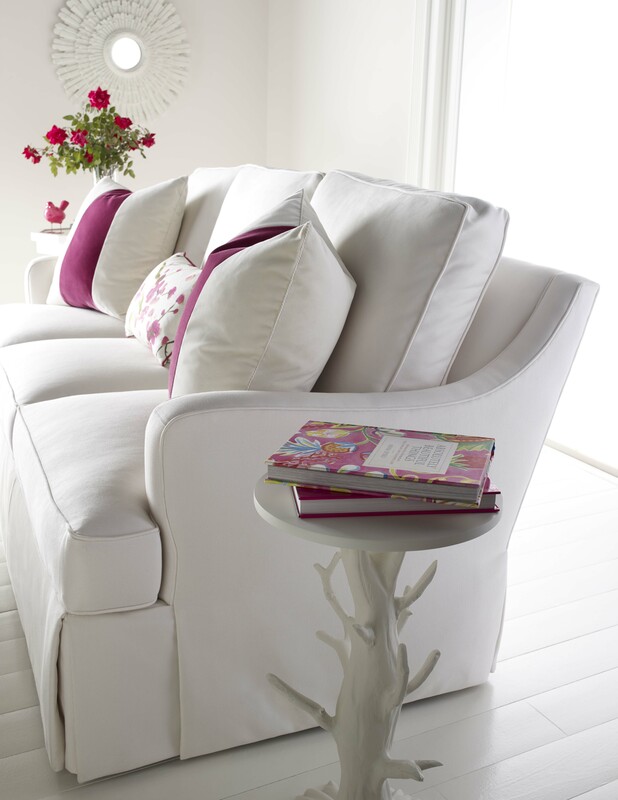 Robb & Stucky designers work with clients to specify just the right style features, comfort, fabrics and trims to make sofas anything but so-so. Chaddock’s Studio C is an options program that makes it easy to specify custom upholstery. Available at Robb & Stucky. Where would you expect to find a company called Left Bank Art? Somewhere near the Louvre? In a garret flat off Boulevard Saint-Michel? Guess again. One of my favorite fine art resources is located on America’s left bank: La Mirada, California, just outside of Los Angeles. 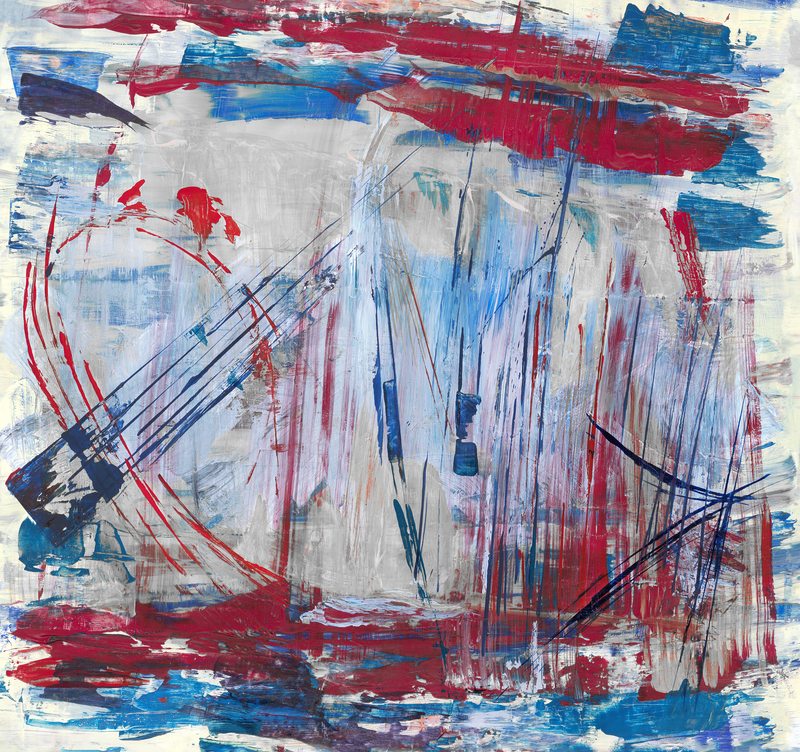 Seeing red – plus blue and white – in this abstract from Left Bank Art. Available at Robb & Stucky. 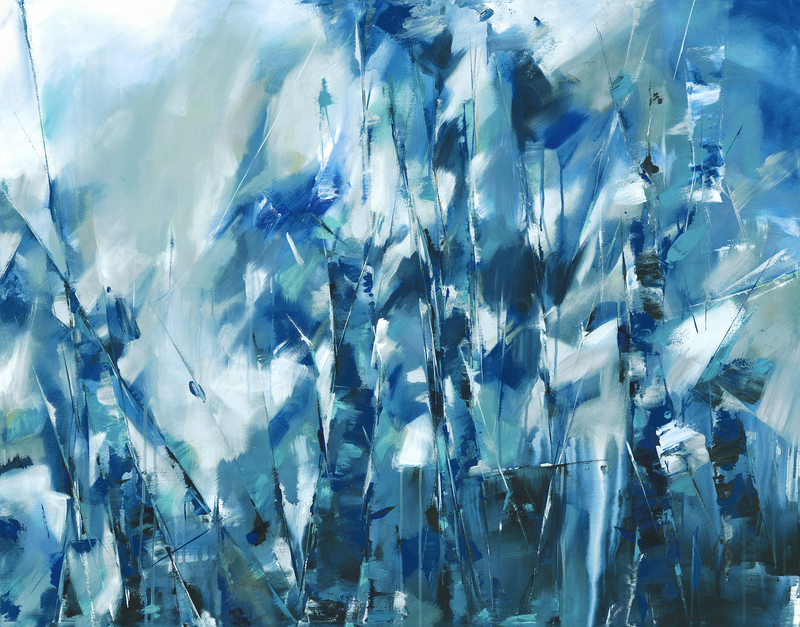 The Left Bank Art collection includes over 10,000 pieces, ranging from original hand paintings to prints on canvas and glicées. The art world moves quickly, and Left Bank is always updating its collection with new artists, styles and mediums. Once again, made in America is synonymous with customization. Left Bank Art can customize the size of just about any design. They understand that art is an integral part of a design plan, and work with Robb & Stucky designers to make sure their art is your masterpiece. A beautiful and totally non-political “blue state” from Left Bank Art. Available at Robb & Stucky. At Robb & Stucky, we love the world of design in all its glorious diversity. Great design knows no boundaries, geographical or otherwise. That said, every heart beats true for the red, white and blue, to hijack a line from the famous song. Especially so on the cusp of Independence Day. Won’t you join us in the celebration of furniture and art conceived and made in America? Wave that flag! 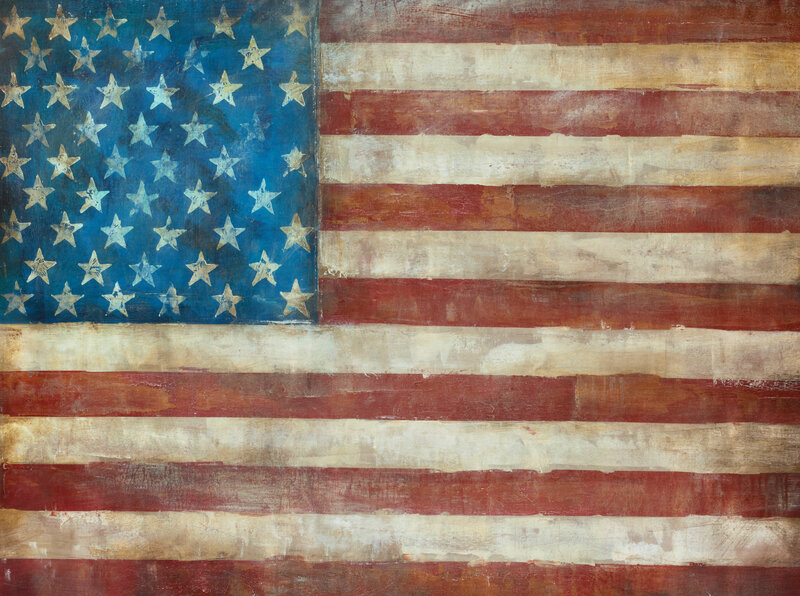 Left Bank Art covers a wide range of styles and color palettes, even Americana! Available at Robb & Stucky. ABOUT MARK STUART: Robb & Stucky Creative Director Mark Stuart is responsible for the floor plan and visual display of all Robb & Stucky stores. In his spare time, he also shops the world for accessories and engages with our amazing buying team to ensure Robb & Stucky stores enchant as a unified, beautiful experience.